A blog about science, meta-science, and sometimes meta-meta-science. Curate Science (CurateScience.org) is an online platform to track, organize, and interpret replications of published findings in the social sciences, with a current focus on the psychology literature. – With N=1,008 replications, we became (to our knowledge) the world’s largestdatabase of curated replications in the social sciences, covering all replications from the Reproducibility Project: Psychology, Many Labs 1 and 3, the Social Psychology special issue, and Registered Replication Reports 1 through 6). An interesting piece has recently been posted arguing that nuance is required to accurately understand the extent to which (social) psychology is currently facing a crisis of confidence. 31 articles are listed on important issues that need to be considered to accurately evaluate the current crisis and generate nuanced solutions to our problems. Of course, many nuanced details go into informing such a bold claim.2 I could be wrong, and I genuinely hope to be proven wrong if I indeed am wrong. But for now, see this sneak preview of the tip of the iceberg of the details that inform such claim. Kahneman worried about a train wreck looming in social psychology. He was correct in worrying, and unfortunately I believe the train wreck has manifested. Indeed, the train wreck continues to inflict pain on the social psychology community on a near-weekly basis as an alarmingly growing number of cherished findings fail to hold up to closer scrutiny. But is the field of social psychology “rotten to the core“, as some have suggested? In the spirit of thinking about things in a nuanced fashion, I strongly disagree with the rotten apple metaphor because some findings in social psychology do in fact replicate (eg1, eg2, eg3; though note replicable effects aren’t necessarily also valid/generalizable; eg). So it’s false that everything is rotten. Rather, social psychology’s most pressing problem is its low replicability rate. Current meta-meta-analytic estimates, based on the careful evaluation of thousands of replications, suggest social psychology’s replicability rate is most likely somewhere in between 15-25%.3 Hence, a better metaphor is that of a raging forest fire, which has potential to become much worse, but also has the potential to be tempered, and eventually controlled to reasonable levels. Consequently, it’s not time to sit back, relax, and become complacent based on distorted perceptions of the state of social psychology just because such perceptions make us feel better. As emphasized by Ledgerwood’s piece, we need to stay focused on how to get better right now, starting today. This can be done, for example, by ensuring one’s research is sufficiently falsifiable by (1) executing and reporting one’s research in a sufficiently transparent manner and (2) prioritizing replicability by thinking in more nuanced ways about the systematic use of different kinds of direct replications (see our 10 shades of falsifiability replication taxonomy). Many, if not most, social psychologists have embraced open science reforms in some capacity, and this is very promising and inspiring. That said, many elite social psychologists4 continue to make proto- or pseudo-scientific arguments against the fundamental scientific principles of transparency, replicability, and falsifiability. This is embarrassing to the majority of social psychologists who do understand the gravity of the situation. Such proto- and pseudo-scientific sophism must stop immediately. It’s our job to engage in dialogue with such elite social psychologists, who continue to hold powerful editorial positions and exert influence on graduate students. Our collective reputation is at stake. The longer this goes on for, the sooner (government) funders will consider pulling the plug on our funding, and more importantly, the sooner the public’s trust in social psychology will be further eroded. 1. For other crises, see Elms, 1975; Greenwald, 1975; Lykken, 1968. 2. All of these details will eventually be revealed in an upcoming project about the personal deception within the broken academic system. 3. Based on replicability rates of social psych effects from ML1, ML3, SP:Special Issue, RRRs, RP:P, and non-large-scale replication efforts (see here for the working meta-meta). Scientific knowledge accrues via the falsification of theory-derived hypotheses. Falsification is the process of proving a hypothesis wrong. Falsifiability is the extent to which a hypothesis, or approach to research, can be falsified. Falsifiability is a non-optional essential aspect of the scientific approach (or else one is a historian rather than a scientist). Falsification is achieved via meticulously executed series of direct replications. 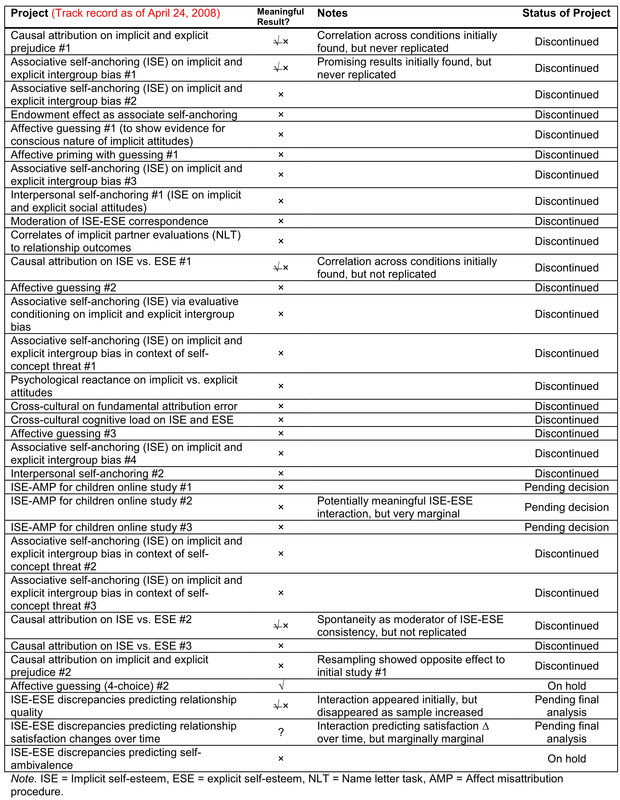 Taxonomy of direct replications with respect to falsifiability (10 shades of falsifiability). Replication is the activity of carrying out a direct replication. Replicability is the extent to which a particular effect/hypothesis, or area of research, is replicable. 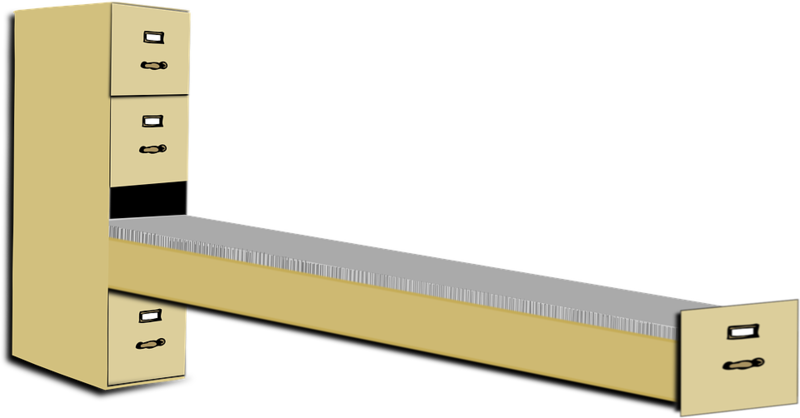 An effect is said to be replicable if an effect of similar magnitude can be consistently observed, under specified (boundary) conditions, across independent samples and researchers. 1. For example, the bending of light 1919 solar eclipse findings, which eventually led to the falsification of Newton’s theory of gravitation in favor of Einstein’s General Theory of Relativity, is not replicable at will, but is (and continues to be) demonstrably replicable for solar eclipses satisfying conditions originally specified. Imagine your child is diagnosed with cancer. You have the choice between two drugs: One was developed and tested in a series of registered studies1, the other in non-registered studies. Which one do you choose? You would probably feel that the answer is a no-brainer — you want the drug whose efficacy was based on evidence least influenced by bias. Extremely high stakes of pharmaceutical research, in the form of billion-dollar revenues generated from FDA-approved drugs, led the World Medical Association (WMA) in 2008 to institute mandatory study registration for all clinical trials reporting evidence on drug efficacy. This was preceded by the International Committee of Medical Journal Editors’ (ICMJE) decision in 2005 whereby non-registered clinical trial studies would no longer be considered for publication. The logic is that the risk posed by researcher biases in the analysis and reporting of study results, including bias in reporting inconclusive or negative studies, is so high that non-registered studies, consequently, simply cannot and should not be trusted. The modern era of hyper-competitive high-output academic research culture has also led to extremely high stakes for individual researchers in the form of personal rewards such as prestigious jobs, promotion, book deals, outside financial interests, social status, and media attention. Consequently, there are no intellectually honest and defensible reasons against applying this same requirement to all published research involving human subjects. The person who prefers the cancer drug from registered studies cannot simultaneously dismiss the requirement of study registration for their own psychology studies. Consequently, it follows that all human subjects research not publicly registered should not even be considered for publication in any scientific journal (psychology or otherwise). 35. Every research study involving human subjects must be registered in a publicly accessible database before recruitment of the first subject. 36. Researchers, authors, sponsors, editors and publishers all have ethical obligations with regard to the publication and dissemination of the results of research. Researchers have a duty to make publicly available the results of their research on human subjects and are accountable for the completeness and accuracy of their reports. All parties should adhere to accepted guidelines for ethical reporting. Negative and inconclusive as well as positive results must be published or otherwise made publicly available. Sources of funding, institutional affiliations and conflicts of interest must be declared in the publication. Reports of research not in accordance with the principles of this Declaration should not be accepted for publication. Given study registration is not yet mandatory in psychology, however, professional psychologist researchers are not yet complying with these new ethical principles.2 Due to the high-stake personal rewards of the current academic research culture, however, we strongly believe it is time that all professional psychologist researchers abide by such new ethical principles requiring mandatory study registration, in addition to minimal reporting standards, open materials/data, and hypothesis pre-registration. Without study registration at a centralized public registry, it is impossible, for us as researchers, to account for the selective file-drawering of “failed” or inconclusive studies. Without a pre-registered method protocol (specified prior to data collection), it is near-impossible for us to account for the multitude of ways researchers may have (un)intentionally exploited analytic and design flexibility to achieve a publishable result. Without minimal reporting standards (e.g., 21-word solution, BASIC 4 Psychological Science reporting standard), we cannot properly evaluate the strength of the reported evidence. Without open materials, we cannot properly scrutinize the experimental design, nor can we conduct diagnostic independent replicability tests. Without open data, we cannot verify the analytic reproducibility or the analytic robustness of the reported results, which need to be independently confirmed before investing precious research resources conducting expensive independent replications. Being a scientist is a special and precious privilege. It is not an irrevocable right. As credentialed professionals, public intellectuals, and mentors, we have an inordinate amount of influence on citizens, the media and journalists, industry research and corporations, government agencies, NGOs, and other researchers both within and outside our respective fields. But with such importance and respect comes great responsibility. When the public funds research, taxpayers provide money in good faith that the funded projects will advance knowledge and help address societal problems. Non-falsifiable research wastes public funds which could otherwise be spent on social services and programs that reduce suffering and safe lives. Non-falsifiable research also wastes additional public funds spent misguidedly trying to replicate and build upon such research. Non-falsifiable research also leads to costly and ineffective practical implementation attempts, which can have grave consequences on real-world practical, legal, and political decisions. Non-falsifiable research wastes the time of volunteering human subjects and in some cases unjustly puts their well-being at risk. Non-falsifiable research erodes the public’s trust in scientists, will lead to further research funding cuts, and stifles society’s evolution toward evidence-based policy-making. We propose that all professional psychologists need to abide by the new 2013 Declaration of Helsinki ethical principles, which are consistent with current lower bar country-based professional society code of ethics including the APA, CPA, DGPs, VSNU, and European Code of Conduct for Research Integrity (and as has been previously argued here). This is gravely needed to finally be accountable to the public. Accountable to the fact that all published research actually follows fundamental scientific principles, ensuring the necessary degree of transparency and falsifiability required for scientific progress (building upon existing softer and voluntary initiatives such as the Commitment to Research Transparency and the TOP guidelines). Public registration of all studies at a field-relevant centralized registry, which includes a pre-registered method protocol document clearly describing rationale of study, study sample and design, and planned data analytic approaches (e.g., IRB ethics approval documents). Open materials: Public online archiving of all relevant procedural details, materials, and measures, unless proprietary exclusions apply, to allow for proper scrutiny of experimental design and independent replicability tests. Open data: Public online archiving of all relevant data, raw or transformed data, unless proprietary or confidentiality exclusions apply, to allow for verification of analytic reproducibility and analytic robustness of reported results. Compliance with this new code of ethics could be implemented by having each stakeholder in a researcher’s ecosystem (i.e., via journals, professional societies, funding agencies, university employment contracts) require that individual researchers explicitly consent to following such code. This is akin to the Hippocratic Oath for medical professionals, guided by the more general Hippocratic Oath proposed for all scientists (see also here). Upon taking such oath, violation of the new ethical standards should be considered unethical and should be investigated as researcher misconduct by the appropriate stakeholder(s) involved. We urgently need, at this current moment, to have a serious discussion within the psychological research community about the minimum scientific standards that need to be met to be an ethical researcher in this modern era of high-stake hyper-competitive high-output academic research culture. This discussion should incite calls to action to ensure that all stakeholders vigilantly enforce compliance to this new code of ethics. Otherwise, the reputation of all professional psychologists will continue to be tarnished, extensive research waste and direct and indirect harm to society will continue, and the public’s trust in science will be further eroded. 1. “Registered studies” as in studies registered in public centralized study registries prior to data collection, such as ClinicalTrials.gov. 2. We must emphasize, however, that a growing minority of psychologists have made admirable efforts to pre-register and provide open materials/open data for some or all of their studies. 3. E.g. technologies to safely store and share data and materials, preregister studies, establish a reproducible workflow, conduct multi-lab collaborations, verify the accuracy of one’s own and others’ reported results, and make manuscripts publicly available for pre-publication peer feedback. 4. These standards should not be misconstrued as guaranteeing scientific knowledge, but rather as minimal standards that need to be in place to allow the possibility of achieving valid and generalizable knowledge about how our world works. At the PsychMethods Facebook discussion group, Uli Schimmack et al. have recently been discussing the lack of merit of the implicit self-esteem (ISE) construct. I chimed in with a brief note concurring with Uli stating that during my first three years of graduate school, I amassed over 20 “failed studies” involving implicit self-esteem (building upon Dijksterhuis’, 2004 seminal ISE paper).1 This led to a tremendous waste of time and research resources substantially derailing my main line of research before I abandoned it altogether a few years later. Uli asked me if I’d ever published or at least archived such failed studies? I replied in the negative because this wasn’t done in pre-2010 days. I did mention, however, that I would be publicly releasing more details of these failed studies in a book I’m currently writing about social psychology’s unraveling in the context of the broken academic system. I became so frustrated with my “lack of success” that I created this table in the Spring of 2008 to more carefully document my failures. I also printed out a hard copy of the table and would show it to professors and visiting external speakers. In an exasperated tone, I would ask them: What the hell am I doing wrong? 1. I wouldn’t go as far as Uli in declaring that “implicit self-esteem is DEAD; R.I.P Implicit Self-Esteem (2000-2015).” I would, however, strongly caution any researcher, particularly early-career researchers, against investing research resources on this topic. 2. Sample sizes for the studies ranged between N=80 to N=140, following the traditional heuristic of N=~20 per cell for between-subjects designs (sometimes re-sampling an additional N=20 to N=40 in the case of statistically marginal effects). One of the most provocative requests in the reproducibility crisis was Daniel Kahneman’s call for psychological scientists to collaborate on a “daisy chain” of research replication. He admonished proponents of priming research to step up and work together to replicate the classic priming studies that had, up to that point, been called into question. What happened? Nothing. Total crickets. There were no grand collaborations among the strongest and most capable labs to reproduce each other’s work. Why not? Using 20:20 hindsight it is clear that the incentive structure in psychological science militated against the daisy chain idea. It is my pleasure to introduce Curate Science (http://CurateScience.org) to The Replication Network. Curate Science is a web application that aims to facilitate and incentivize the curation and verification of empirical results in the social sciences (initial focus in Psychology). Science is the most successful approach to generating cumulative knowledge about how our world works. This success stems from a key activity, independent verification, which maximizes the likelihood of detecting errors, hence maximizing the reliability and validity of empirical results. The current academic incentive structure, however, does not reward verification and so verification rarely occurs and when it does, is highly difficult and inefficient. Curate Science aims to help change this by facilitating the verification of empirical results (pre- and post-publication) in terms of (1) replicability of findings in independent samples and (2) reproducibility of results from the underlying raw data.